Friday Night Social – Jan. 16th, 2015 | Kitchener Portuguese Club Inc.
Posted in: Friday Night Socials. Tagged: clams, club, Coriander, friday, Inc, kitchener, night, pork, portuguese, potatoes, Snack, social, traditional. This Friday night, Jan. 16th at 6:30pm, the small side-bar of the Portuguese Club of Kitchener will be open as usual! 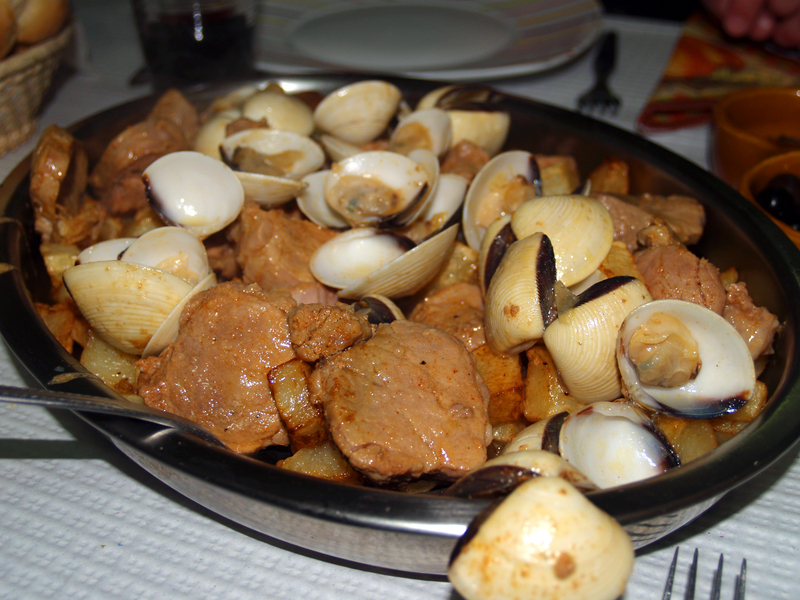 Carne de Porco à Alentejana is one of the most traditional and popular pork dishes of Portuguese cuisine. It is typical from the Alentejo region, in Portugal, hence the word Alentejana (from Alentejo) in its name.